Pumpkins are in abundance in my garden in the autumn & last for months kept in the cool. I use them for soup bahnitsa & muffins. Certainly worth cooking with & easy enough to just have baked with your sunday roast. This is a simple & very tasty soup which can be served as a meal with bread or pumpkin scones or as a light lunch or starter, depending on size of serving. Be careful it is filling! 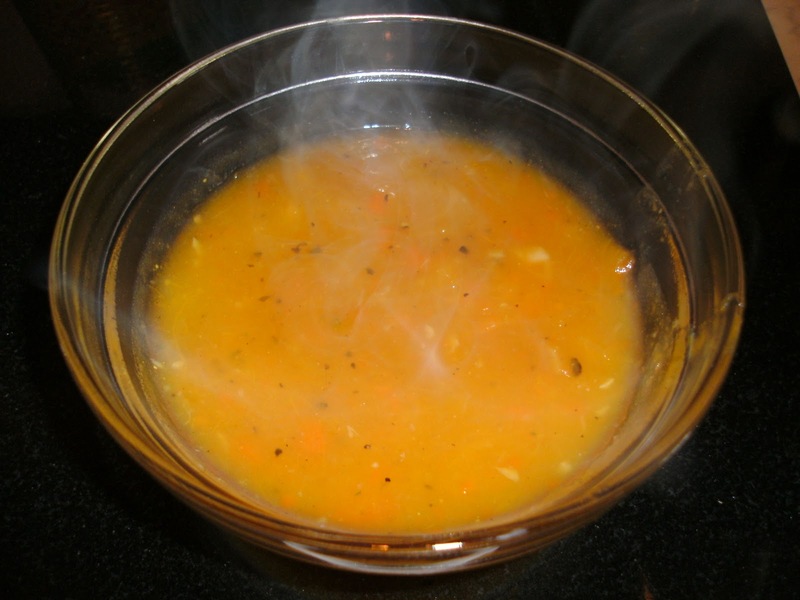 Spray a large stock pan with frylight & saute garlic & onion, if you are using, until it softens & starts to brown. 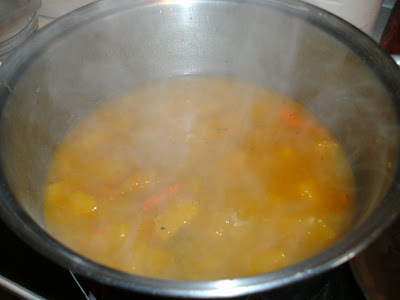 Add carrot, pumpkin, potato & water. Bring to the boil, then turn down to a simmer. Add chicken stock, curry powder to taste, bay leaf & sage. Simmer soup for roughly 45 mins, allow to cool slightly then blitz it too get a smooth soup. You can leave some chunky bits if you like. if you want a creamy soup add the milk season with pepper & serve. You can freeze this soup but do not put the milk in!